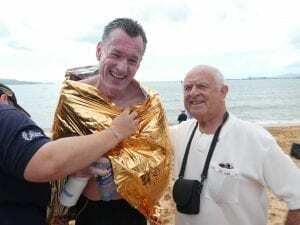 With another Magnetic Island to Townsville swim behind him, David Forde from Lions Club of Kuraby has yet again raised much needed funds for Lions Medical Research Foundation. With support from his club, Brisbane Diagnostics, community, colleagues and Logan Council, David raised $6,970 in support of the pioneering research that the Foundation supports. Many thanks David !